which are the acts of ripest judgment, and the final work of a head filled by long reading and observing." "I know of nothing which so tends to accuracy of thinking and self-expression as the writing habit. It increases one's vocabulary and one's facility of expression. The very act of writing a thing tends to fasten it upon the memory, to impress it, to clutch it in the mind." ​"If you really want to write, why don't you start with a journal?" "The Alcott children were encouraged to keep diaries in which they wrote down their thoughts and feelings and fancies, and even at [a] very early age Louisa's journal was a record of deep feelings and of a child's sacred emotions." A jab at the direction of academic writing. The wrong way to teach grammar. 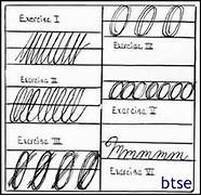 Here are the top 6 handwriting picks of Jamie Martin at Simple Homeschooling. There are 3 sections in this month's volume on Writing. First, I included an entire book with tips for young writers. Its approach is unlike any I have read anywhere else. While our modern approach is to focus on the mechanics of writing, this is a reminder that all great writing flows from the heart. Then I included a little book called 'Grammar-land' that teaches the parts of speech in a fun story-like way. It's a story you may want to share with your children or you can read it to clarify the parts of speech for yourself. Finally, I included Strunk's Elements of Style. This is the classic straightforward and to-the-point manual for writing well with a review of punctuation and other writing basics. It's not that the mechanics aren't important, it's that focusing on them too soon kills a love of writing before it takes root. E.B. White, who wrote Charlotte's Web, added some of his own suggestions in a later edition which can be read online, but it's not in public domain so I couldn't include it in this printed copy. And you will notice--rules have changed. Just a word on spelling. OK, maybe more than a word. It seems as though the world is divided between those who can spell and those who can't. I am one of those people who can look at a word and determine if it's spelled correctly or not. I never had to study for spelling tests. Yet, I had friends who could practice and practice and practice and still miss the words on the spelling tests. Thankfully, spell check is a wonderful tool for the spelling challenged. There's no shame in using it! There is a story of Robert Louis Stevenson in this month's Stories of Great Writers book that reveals he was a horrible speller. But that didn't prevent him from sharing his huge heart with the rest of the world. So, if your child struggles with spelling, take heart! He is in good company. Don't stress over it. Why Stevie Can't Spell -- A professional writer sets out to find out why he can't spell. An insightful read. There are spelling programs out there, but most children learn to spell through copy work and writing. I wouldn't give them random spelling lists... if they're able to learn by a list, let that list be of words they have misspelled in their writing.